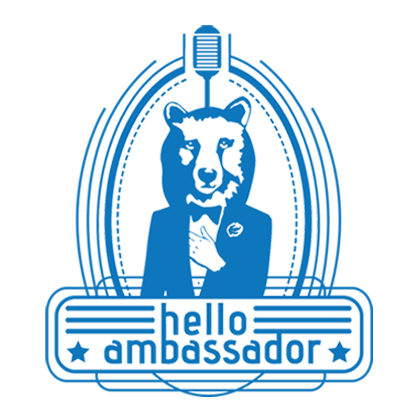 In case you thought you had missed out on the speakers from Pioneer Nation held in Braamfontein a few weeks back, have no fear as Pretoria will be having their second annual Hello Ambassador creative conference this Friday and Saturday. This symposium is supported by the exhibitions that take place in the lobby of the Pretoria State Theatre, and entertaining festival held outside that is meant to encourage Pretorian creatives to pursue their passion to the fullness of their abilities. State Theatre will play host to a variety of creative minds from all over South Africa including Roger Ballen, Liam Lynch, Kagiso Lediga and DJ Kenzhero. We are feeling pretty stoked about the line-up this weekend, so if you look hard enough you might find us in the background taking notes like a student or tearing up the dance floor at the after party which will be held just around the corner at The Shed – 385 Helen Joseph Street. To get your tickets, follow this link and pick whichever package is most suitable for you, and we’ll see you there.